Sign up below to be informed of updates to the Full Stop E-Book you purchased. You will receive an email to verify the sign-up, followed by a confirmation email when complete. Thanks! When you join this mailing list, you may also be contacted by me with additional correspondence about your guide, such as review requests, or related Full Stop publications. After pressing the button, you will return to the Picturing Change blog homepage, and will receive an email requiring your confirmation. I am really enjoying using my Canon 5D Mark III Experience e-book. I am certainly finding it helpful and informative, and that it is enabling me to take better control of my camera and the image taking process! Congratulations on such a well-written piece of work. I recently upgraded my camera from the 7D to the 6D. I love your book Canon 6D Experience and look forward for any updates. I wish you wrote the manual for the 6D. The only thing I am sorry for is that I didn’t know you wrote a book for the 7D. Could have saved me a lot of time learning it. Keep up the good work. The only thing I didn’t understand from the book is how to take 5 or 7 bracketed pictures and then make an HDR picture on my Mac ( I use the NIK program), it is probably my fault, I am too old and my brain stopped working. After reading only a few pages I thought ” this guy talks sense”. Take everything off auto is one of my mantras. Why people spend big money on an expensive dslr then leave it on auto and shoot jpg I can never work out. I have used dslr almost since they arrived but it’s good to have a book about a new camera which explains all the controls and menu items and yours seems to be very comprehensive and clear. Thanks! I hope you continue to find the rest of the guide helpful and informative! I have downloaded and printed your “Nikon D7200 Experience” book. How ever on the pull down about to be included in any updates, the D7200 is not listed. So, I used D7100. Please include me in the updates for your D7200 book. Hello, Thanks for signing up! 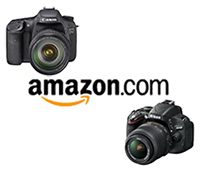 The D7200 should be listed, 4th from the top. The recent firmware update for the D750 was rumored to enable EFCS and Raw histogram. Do you know if it actually did? Doug, Nikon has released a firmware update to fix the Lexar SD memory card issue. Also, Nikon will replace free any Nikon EN-EL15 version 01 batteries that are sent in with proof of D500 ownership (serial number). The new battery is version 20. You may have mentioned this on your blog. Hello, Thank you for calling attention to these D500 issues. I mention this information in my Nikon D500 Experience guide, but I don’t think I shared it yet on my blog. Just bought your ebook D600 experience and this is my first look at your blog. Since I have a D600 which uses the EN-EL15 batteries, just a couple of questions (1) How can one determine version number? and (2) Should I be concerned? What is the issue with use in the D500 that is not an issue with other cameras using the same battery? I bought the Canon 7D M2. Your ebook was an easy read, and i was able to apply what I learned quickly. The Camera is complex, and a good understanding of it’s functions is a must if you’re going to get the best out of the Camera and yourself. It will defiantly improve your Photography skills. I Highly recommend the ebook. You will not regret the experience. look forward to any update of this wonderful experience. benefited from your exhaustive research work. Hi Doug, just finished reading the Canon 77D Experience, and it’s a great instruction book. Now it’s time to dig a little deeper and get lots of practice. Thanks for this clearly written manual. Hello, thank you for your kind feedback! I am glad you have found the guide helpful, and let me know if you have any questions. And please feel free to submit a review of the book on Amazon, where I offer the Kindle version – thanks! Hi Doug, just purchsed and started reading the Nikon D810 Experience book and am impressed thus far. I also have a hard copy of David Bush’s book regarding the Nikon D810 and have been reading it for a couple weeks. I find yours a little easier to follow and getting to the point without all the rambling that I perceive with David’s book. It is a good reference but wanders around a lot (for me anyway), so yours so far is a refreshing change!! Hello, Thank you for the kind feedback! I am glad you are enjoying the guide. Great book. I downloaded the Kindle version and PDF file. Very comprehensive. After reading your book it opened me to a lot of features on my D750 that I didn’t know existed.